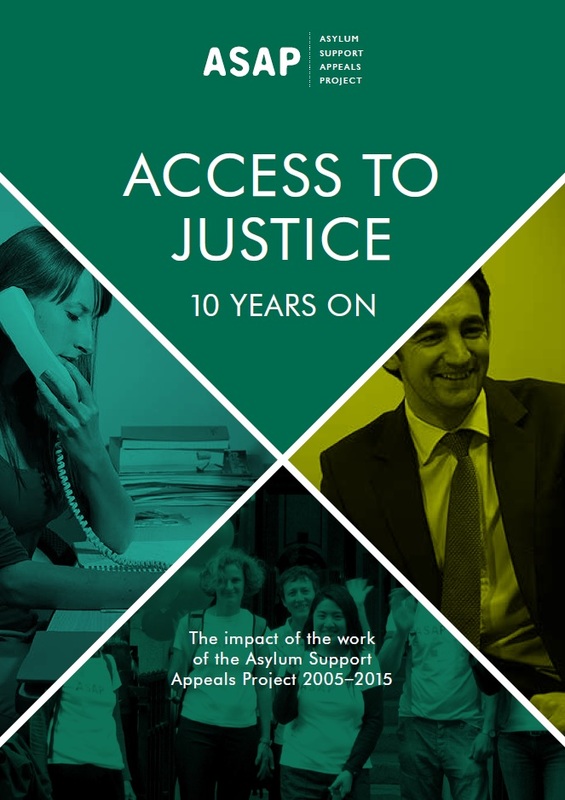 Read our new report looking at the impact ASAP has made over the last ten years (2005–15) on the lives of the asylum seekers. • Examine the impact that ASAP has had in obtaining justice for asylum seekers facing destitution. • Share the learning from how ASAP has achieved its aims (or made this impact). • Highlight the needs that continue as people who have been forced to flee their home countries due to persecution seek asylum in the UK only to find themselves destitute. • Celebrate the achievements of everyone involved in enabling ASAP to achieve the positive impact that it has had on the lives of asylum seekers in the UK.